You Are Here: Home > What are the 2018 Jaguar XE Technology Features? When you hit the Colts Neck road, you want to know the vehicle you’re driving will offer the safety and innovation you need for a truly enjoyable driving experience. Thankfully, the 2018 Jaguar XE technology provides everything you’re looking for in a luxury model, and then some. Whether you want a model that entertains or informs, or even both, explore the new Jaguar XE technology features below. Any Rumson driver who has ever explored a Jaguar models likely knows about the Jaguar InControl® technology that provides you with all the entertainment and information you’re looking for. While the InControl® technology stands out, your new luxury model offers so much more in terms of innovation. The 2018 Jaguar XE is great for Holmdel drivers who want technology at their fingertips. 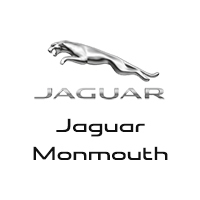 Jaguar Monmouth has a nice selection of Jaguar XE models to choose from, and we want you to visit our dealership at 807 NJ-35 in Ocean, NJ, to check out our inventory. If you want to know more about our current vehicle specials, be sure to contact us at (877) 672-8680 today. Still doing research? See how the Jaguar XE compares to the INFINITI Q50.